eD@HoMe: A lovely British cover! I am a big fan of British stamps and yesterday I was thrilled to receive this lovely cover from Great Britain! 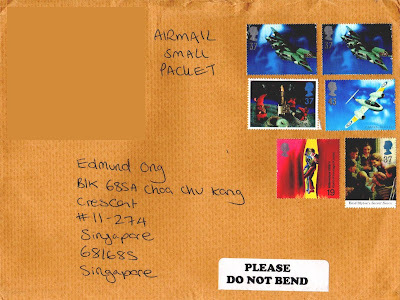 It's just a pity that the stamps were not postmarked. 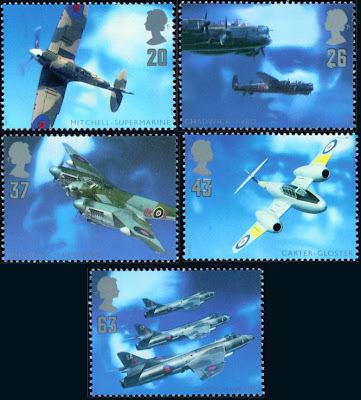 The 3 stamps depicting fighter aircrafts belong to a group of 5 stamps from the "Architects of the Air" series. They were issued on 10th June 1997. The stamp franked on the left, middle row is from the "Big Stars from the Small Screen" series, issued on 3rd Sept 1996. 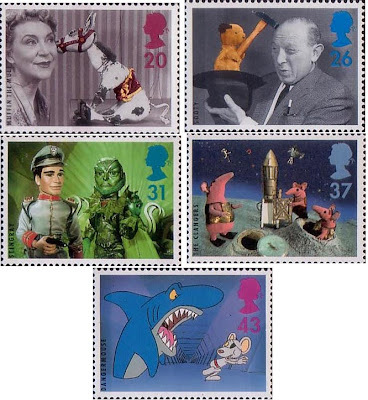 The stamps in this set feature classic children's TV characters of Muffin the Mule, Stingray, Sooty, The Clangers & Dangermouse. They first appeared on TV in the 1950s to 1970s. Next, is a stamp from the "The Artists' Tale" series. It was issued on 7th Dec 1999 to commemorate the new millennium. 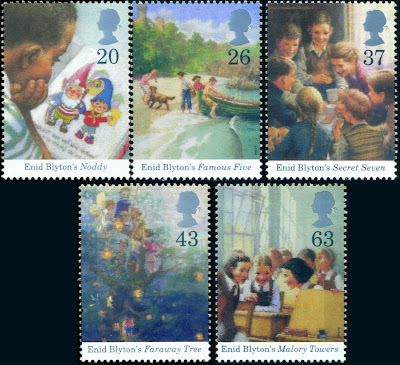 Last but not least, we have a lovely stamp from the "Birth Centenary of Enid Blyton" series, issued on 9th Sept 1997. 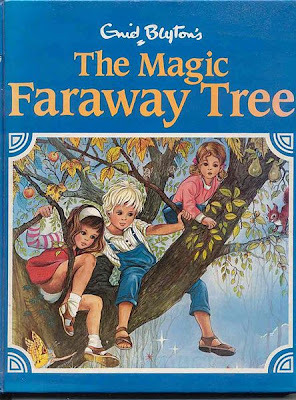 I grew up reading Enid Blyton and one of my favourites is the Faraway Tree series. Consisitng of 4 novels; The Enchanted Wood (1939), The Magic Faraway Tree (1943), The Folk of the Faraway Tree (1946) & Up the Faraway Tree (1951), the stories take place in an enchanted forest in which a gigantic magical tree - the eponymous "Faraway Tree" - grows. The tree is so tall that its topmost branches reach into the clouds and it is wide enough to contain small houses carved into its trunk. The forest and the tree are discovered by three children named Jo, Bessie, and Fannie, who move into a house nearby. My favourite character in the stories is Mr. Moonface. He is so named because of his large round face that looks like a moon. He is the children's closest friend. There is a slippery-slip in his house, a slide which runs down to the bottom of the tree. I am excited as Faraway tree was depicted on the fourth stamp (43p) in this lovely set. 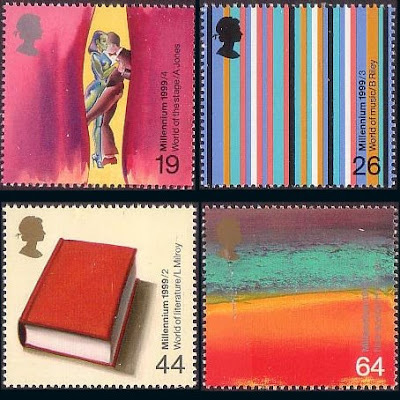 The other stamps feature Noddy (20p), Famous Five (26p), Secret Seven (37p) & Malory Towers (63p). I bet most of us would have read at least one of the stories. These stamps brought back my happy childhood memories! Cool...Enid Blyton's stamps series also in ur collection, I hope one day I also can collect more stamps like you.